CT Fertility's medical director will present surrogacy programs in the USA that are affordable yet do not compromise safety, excellent success rates, or high ethical standards. The May 2 panel will also include a legal expert, parents, a surrogate and an egg donor. We consider the high costs of many surrogacy arrangements to be both a practical and ethical issue, and we will discuss strategies to reduce these costs and new programs that dramatically discount additional cycles, if needed. Due to legal restrictions at home, Swedish and other European people who cannot have children naturally often turn to various surrogacy and egg donation arrangements abroad. However many express concerns about both ethical and safety issues, especially when they consider the least expensive solutions. The topic is also a source of considerable controversy that engendered prolong political debate in the country. This prompted local prospective surrogacy parents to invite American experts, a surrogate and an egg donor to help present options for surrogacy programs in the USA that are affordable yet do not compromise safety, excellent success rates, or high ethical standards. The seminar will take place at the Scandic Sergel Plaza hotel in Stockholm on May 2, 2012 at 6:30 pm. In the fall of 2011 Dr. Doyle invited by the French association of LGBT Families (ADFH) to participate in a groundbreaking seminar on "Ethical Surrogacy Journeys", where he repeated his call for voluntary ethical standards to insure all parties are treated with dignity and respect, physical and psychological risks are minimized, and future consequences to all are considered. Also on the panel is attorney Steve Snyder, founder of the International Assisted Reproduction Center (IARC) in Minnesota. Snyder acts as the liaison to the National Coalition for the oversight of Assisted Reproductive Technology at the American Bar Association, and his agency and law firm were involved with over 1,000 surrogate and ovum donor births to intended parents of all types around the globe. “I would love to share with Swedish prospective parents the steps we take to make the process legally secure, smooth and highly certain to succeed,” said Mr. Snyder. “These practices require the continuous concern for the well-being of each client, fertility helper, and unborn child. This is not a "one size fits all" process, and we help intended parents to make decisions that are best for their needs.” Mr. Snyder, whose agency is widely known in the surrogacy field for its fair pricing policies, will also discuss at the seminar steps to reduce the costs and length of the surrogacy process so Swedish parents may be able to return back to Sweden in as little as two weeks after the birth. The American surrogate who will be presenting on the panel is Charity Lovas, a Minnesota mother of three who over ten years helped create four families besides her own. “I am so excited to have the opportunity to speak to Swedish prospective parents,” said Charity, whose maiden name is Olson, “especially given that my family is of Swedish and Norwegian origin.” After she carried the first baby for an infertile couple in Belgium more than ten years ago, Charity and her husband were so moved that they did not hesitate when an opportunity came to help another couple. All together Charity has carried five babies for parents from the USA, Belgium and Israel, as both a gestational and traditional surrogate. “I just given birth to another surrogacy baby this month,” Charity said, “and I finally decided that this would be my last pregnancy.” Charity is proud that her own children, the oldest is now 18, have been very supportive throughout the years, and met all the babies and happy parents she helped. 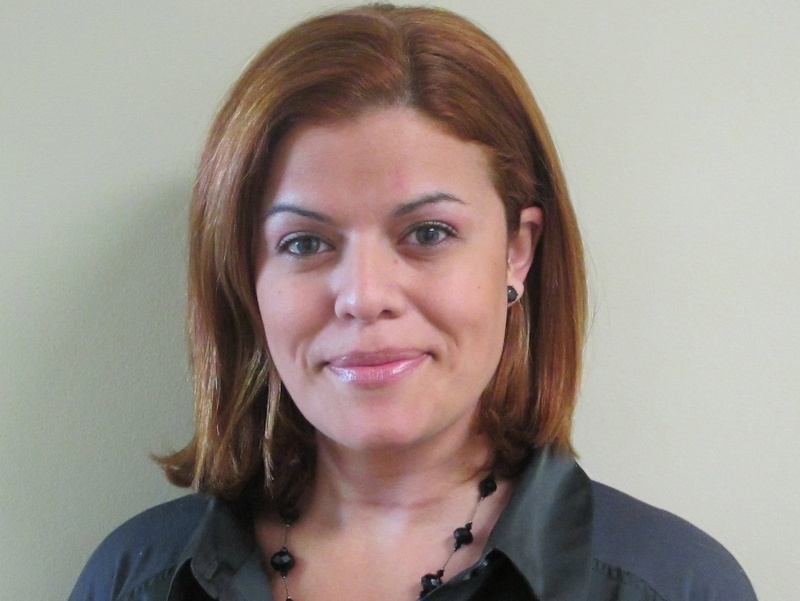 The seminar panel will also include an American egg donor, Shantai Rivera from Connecticut. Shantai is a mother of two who donated eggs for two infertile couples who had children through surrogacy. The first couple, to which she donated anonymously, had twins who are now 9 years old. The other couple she helped, with whom she is still in touch, had a girl who is now 7 years old. Shantai herself has been working in the fields of Reproductive Medicine, Egg Donation and Gestational Surrogacy since 1999 and presently serves as CT Fertility's Egg Donor / Surrogacy Program Coordinator. “I find that my personal experience has greatly contributed to my ability to compassionately and effectively perform my duties including egg donor screening and support,” said Shantai, who also oversees the coordination of IVF/Surrogacy cycles for both local and international families. In the day prior to the seminar, Dr. Doyle will be holding free private consultations in Stockholm with prospective parents seeking further details about gestational surrogacy and egg donation performed in the United States. To schedule a consultation please email: jamie(dot)speer(at)ctfertility(dot)com. For more information about CT Fertility please visit http://www.CTFertility.com. For more information about the International Assister Reproduction Center (IARC) please visit http://www.fertilityhelp.com. 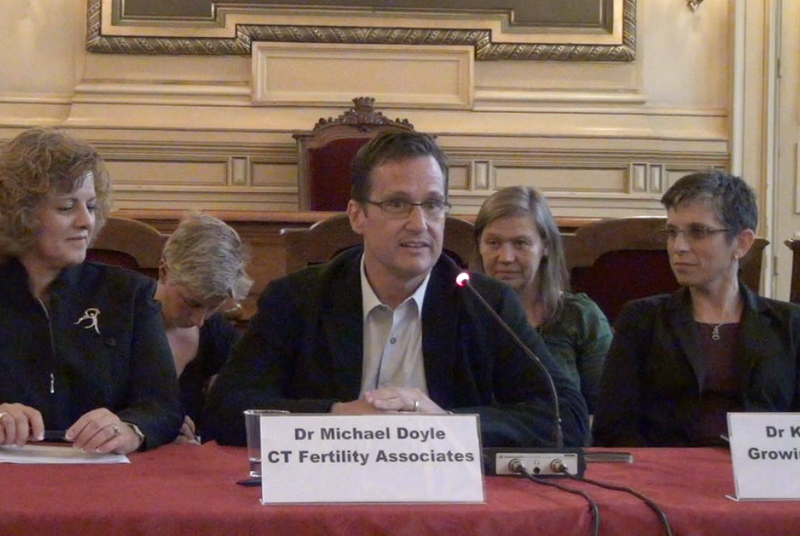 Dr. Michael Doyle , shown here speaking in Paris at the Ethical Surrogacy conference, will be the medical expert on the Stockholm "Seminarium kring prisvärda och etiska surrogatarrangemang i USA". Steve Snyder, founder of the International Assisted Reproduction Center, will be the legal expert on the May 2 Stockholm panel. Shantai Rivera, an egg donor from CT, will speak at the Seminarium kring prisvärda och etiska surrogatarrangemang i USA Charity Lovas, the surrogate who helped four families, will speak at "Seminarium angående prisvärda och etiska surrogatarrangemang i USA"